When Harley-Davidson motorcycle riders get together, it’s like a work of art in motion cruising down the highway. The machines, each custom made to the color and chrome schemes of the buyers, are so polished that you can see your reflection in the bikes. Even the handlebars are artistic creations christened with names such as Drag Bars, Scramble, Z Bars and Six Bends. You really don’t have to be a motorcycle enthusiast to appreciate the quality workmanship put into these Hogs and the tender loving care the owners bestow on them. What’s fascinating though is how it all began. In 1901, William S. Harley, at the age of 21, created a blueprint drawing of an engine designed to fit into a bicycle. Together with his pal Arthur Davidson they built the first Harley-Davidson motorcycle in a small wooden shed in Milwaukee. Fast forward over the last 100 years and you’ll see how his idea morphed into a lifestyle embraced quite passionately by Harley owners. 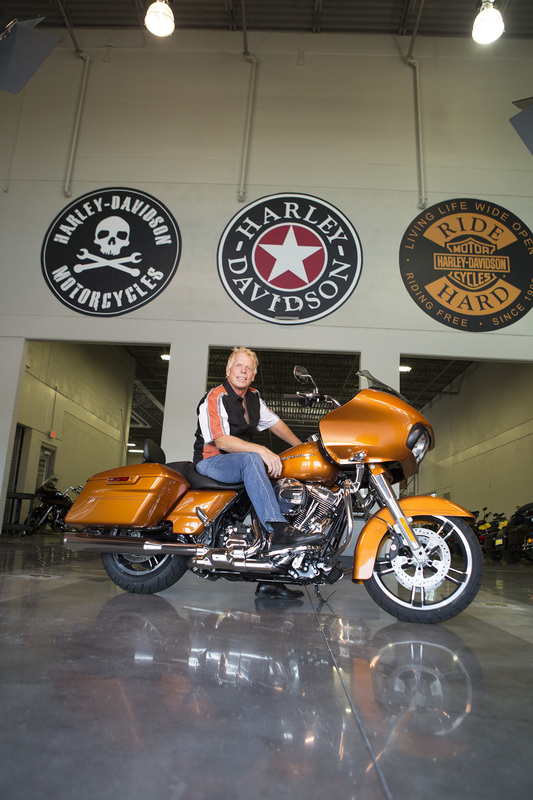 From 1982 to 1987, Fischer was the general manager of a motorcycle shop in Columbus, and in 1987, he moved to Fort Myers to run the Harley-Davidson/Kawasaki shop on Fowler Street. It wasn’t but a few years before he bought it and set out to expand his business in 1990. Today he has dealerships in Fort Myers and Naples, Fla.; Hickory, N.C. (near Charlotte); Huntsville, Ala.; and Albuquerque, N.M. But Fischer, who wears a black shirt with the Harley-Davidson logo and his short, strawberry-blond hair spiked, is the first to admit that it’s all about the passion. His philosophy has always been: “Find your passion and make that passion your work.” And the businessman practices what he preaches, taking his love for riding and turning it into something bigger. 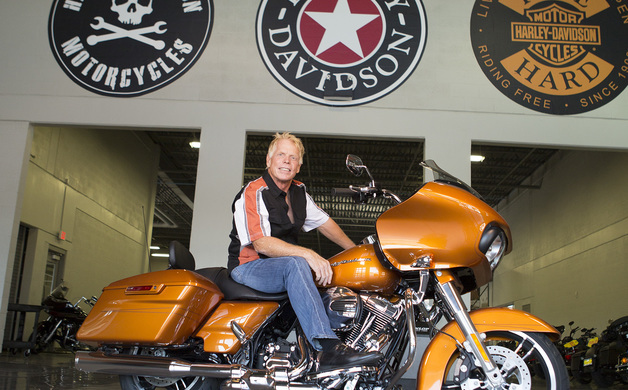 “Today my passion comes from building a great company more than the riding,” Fischer says. 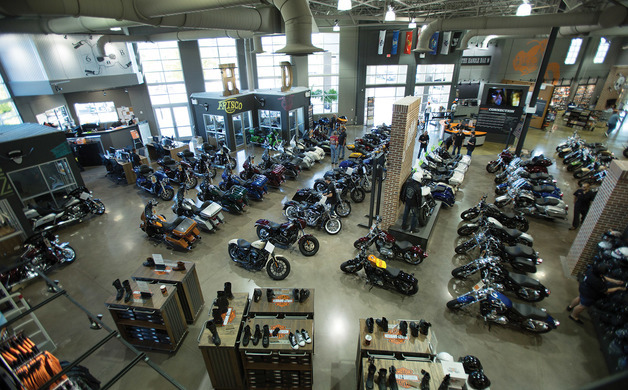 Six Bends, which sits just off Interstate-75 near Daniels Parkway, is anchored by an impressive two-story building selling Harley-Davidson bikes and merchandise. Adjacent is the service department, with its 18 technicians, that’s as attractive as the sparkling showroom. Surrounding the store is a plaza with orange and yellow shade canopies. A fire pit area provides benches for visitors who care to sit awhile and socialize. And just beyond is an open space set aside for future retail shops, restaurants and a craft brewery. At the property’s far end, Top Rocker Field, designed for outdoor concerts and sporting events, has been a real hit. Stars such as Bret Michaels and Eddie Money have performed here. Food trucks are brought in and weekend events often draw 200 to 300 people. “It’s not just music concerts; we also have plans for art festivals and Cinco de Mayo and St. Patrick’s Day events,” says Fischer, adding that fundraisers are part of the mix. In fact this past January, the Cattle Baron’s Ball to benefit the American Cancer Society was held at Six Bends. Large tents were set up for the silent auction, dining and dancing. “The Harley-Davidson motorcycles gave it a cool, young and hip atmosphere. The venue was something different, rather than a hotel,” says Lisa Covazos, coordinator of distinguished events at the American Cancer Society for the South Gulf Coast region. “Everyone loved it; they said it was the best ever Cattle Baron’s Ball,” she says. “It was sold out, and we had to bring in extra tables.” Based on the event’s overwhelming success, organizers booked Six Bends for the 2016 ball scheduled for January 16. In his efforts to make Six Bends a place the whole community can enjoy, Fischer also created the Six Bends Eco Trail on the property. Native plants have signage and school field trips are welcome. It’s designed so students can visit the trail and learn about Southwest Florida’s foliage, he points out. As a confident businessman, Fischer was looking for a way to bring riders and non-riders together and with Six Bends, he seems to have found a formula that works. “Our focus is to grow our business beyond industry limits. Two percent of the population rides; we need three percent,” he says. 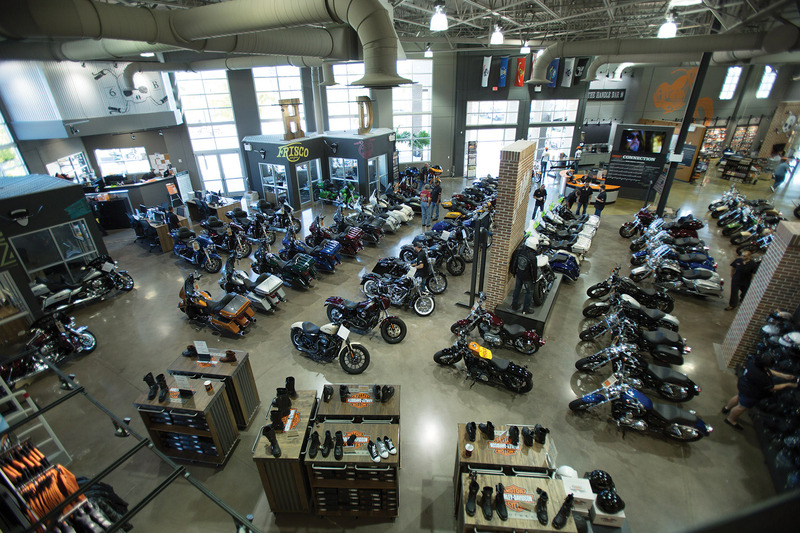 The Harley-Davidson customer base ranges in age from 25 to 65 and from hard-core bike enthusiasts to upper-class riders who like the status of a Harley. Professionals who ride on weekends as well as seasonal visitors who come to Florida to escape winter’s cold are among his customers. There are also the motorcycle clubs—the Blue Knights International Law Enforcement Motorcycle Club composed of active and retired officers who enjoy riding bikes and Harley-Davidson’s own HOG club, which stands for Harley Owners Group—that get together at Six Bends. However, Fischer believes one of the next growth markets for him is selling to women. “Twenty percent of purchases are by women. We work hard on getting their business,” he says. One way women, or any customer, can try out a motorcycle is to hop on the Jumptail, which is a stationary motorcycle at the store’s entrance that riders can take through all the gears. And having a riding academy at the facility is also a real plus, especially for first-time motorcycle owners. The class is limited to 24 students and takes place in upstairs classrooms. There are even night classes to accommodate working people. Since almost everyone who takes the riding academy has the intention of buying a motorcycle, Fischer refunds the cost of the class when the bike is purchased. But as anyone who steps foot in Six Bends can confirm, it’s all about the Harley experience. 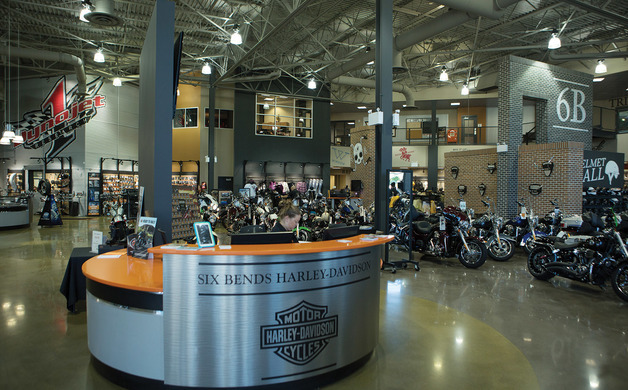 Receptionists dressed in black shirts with the orange-and-black Harley-Davidson logo greet customers and upon request give tours of Six Bends. A high-top bar anchors the social center where coffee and snacks are available. 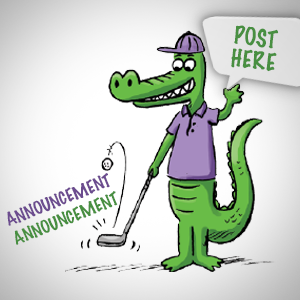 Events are posted on a ride board, along with route information and brochures. Cavernous with super high ceilings and red brick accent walls, the 54,000-square-foot store boasts row upon row of motorcycles—not a single one the same. “As for the bikes, customization is the core of the product,” Fischer says. Although black is still popular, it’s the color of the past. The bikes on the floor boast shades of blue, burgundy, green, gray, silver and gold. “Paint is what people buy,” he emphasizes. Custom-painted bikes are very attractive and when you have a paint job with graphics, custom handlebars, wheels and chrome, you are creating your own individual style, he elaborates. As for which model is the bestseller, Fischer explains that the most popular bike in the world is the Street Glide. It’s customized the most, rides the nicest, has room, offers comfort and is equipped with saddle bags. More than just a cruiser, it has a satellite radio, iPod hookup and interface for a smartphone. The standard bike is built by hand and starts at $19,000 but when totally customized it can cost $34,000 with a Custom Vehicle Operation. Baby boomers have been big fans of the Street Glide; however, as that segment of the market ages, it will be interesting to see what model the next generation prefers. The lineup includes models with names such as SuperLow, Fat Boy, Low Rider, Switchback, Softail, Road King, Electra Glide and others. As for Fischer’s favorite bike, “I ride anything I want for the ride we’re going on.” Being the owner has its perks. In the back of the store are racks and shelves chock-full of Harley-Davidson merchandise. “The biggest seller in the retail outlet side of the business is our logo T-shirts,” says Fischer, as a young sales woman holds up a black shirt featuring a Harley motorcycle and alligator in a swamp setting on the back. She explains that it’s popular because it identifies with Florida’s wild side. Last December, 2,900 of these shirts flew out the door. Besides all the riding gear and clothing for adults, there are pint-size kid T-shirts for future riders and home accessories from glass barware to photo frames. Another stop on the Six Bends tour is the wall of handlebars where several styles are on display, adding a museum-like element to the store. “We created a fable around each handlebar,” says Fischer of the plaques that tell the stories. 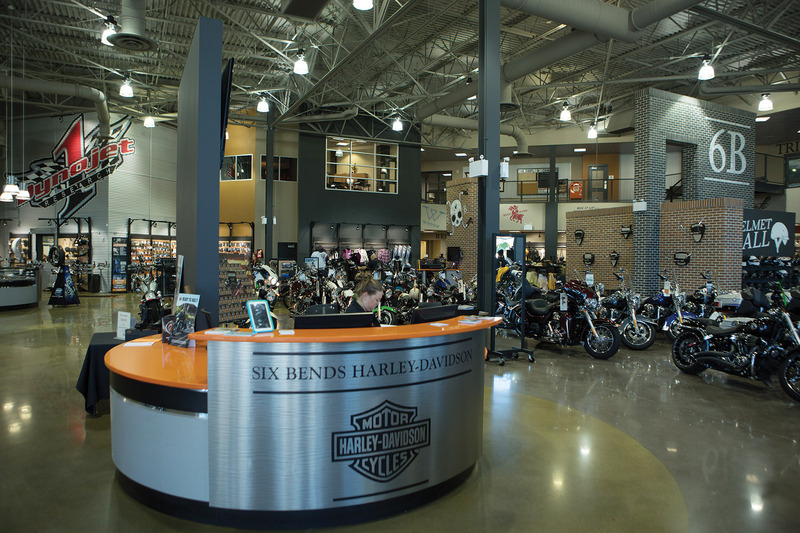 The dealership was named Six Bends after what Fischer believes was Harley-Davidson’s first custom handlebar. At Six Bends it’s apparent that the Harley-Davidson culture is a lifestyle that gets people out of the everyday grind and connects them with others who have the same interest. And as this lifestyle grows, Fischer finds himself in the right place at the right time. 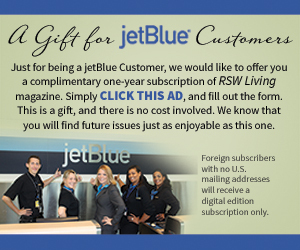 Written by contributor Patricia Letakis, who has written extensively about Florida for the last 20 years.